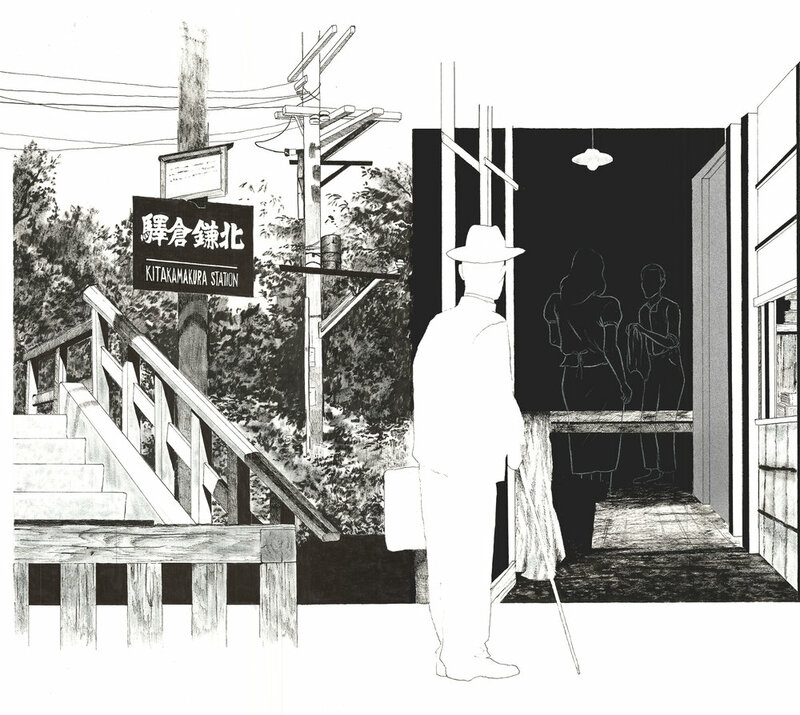 Tribute to Ozu is a drawing series completed for the final project of my fall semester experimental drawing/design course at RISD. Inspired by the prolific work and iconic style of Japanese film auteur Yasujiro Ozu, I wanted to explore the relationship between composition and meaning in two of his films: Late Spring (1949) and Good Morning (1959). To do this, I created two 22'' x 60'' drawings using stills from the two movies to create long, architectural forms. By emphasizing the structures that framed Ozu's films, I tried to echo his focus on the permanence of environments versus the transience of the lives that exist within them. For more information on Ozu, visit his Criterion Collection page.